Yesterday, at the exact moment Activision Blizzard chief executive officer Bobby Kotick hopped on a quarterly earnings call to inform shareholders that his company had just gone through a “record year,” employees across the publisher of Call of Duty, World of Warcraft and more were being brought into conference rooms and informed that they were losing their jobs. 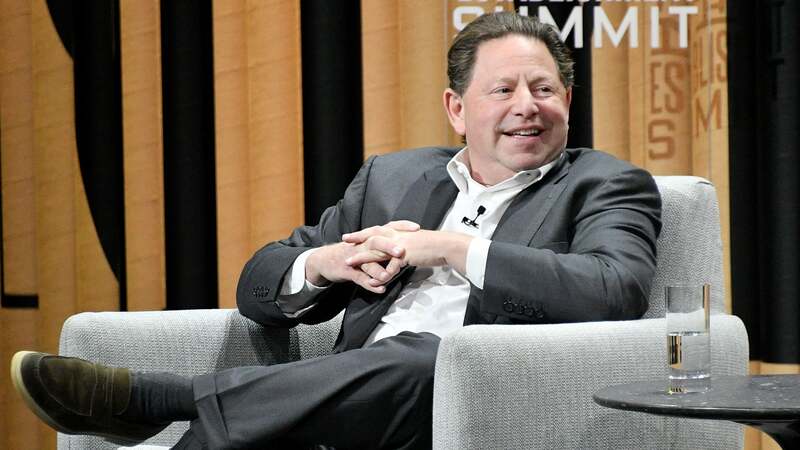 As Kotick and other executives were telling investors that the next Call of Duty was shaping up to be the best one yet, employees across Activision Blizzard’s various divisions nervously sat at their desks, waiting to see who would be next to get the severance envelope. In Blizzard’s publishing department, management had booked a series of meetings from 1pm to 3pm Pacific. On the calendar, they were all blank. Everyone knew what that meant. Later on the call, Kotick delivered the grim news: Activision Blizzard, which employed around 9,600 employees last year, would reduce its workforce by 8%. That equated to around 800 people. Some were junior employees, having started at the company just recently; others had been with Activision Blizzard for 15 years or longer. Some were informed yesterday; others, particularly in Europe and other non-US divisions, didn’t find out their fates until this morning. It was carnage. People were laid off at Activision’s main office in Santa Monica, California, where an entire team of Destiny publishing staff had been coming to work with nothing to do. (Some of them were laid off; some were moved to Call of Duty or other teams. Some in other departments were also laid off.) People lost their jobs at King, the developer of Candy Crush, and at Activision’s various development studios including Vicarious Visions (Albany, New York) and High Moon Studios (San Diego, California), both of which had handled support on Destiny 2. Activision Blizzard staff in Europe, Latin America, and other regions across the world also lost their jobs. Some who were laid off wrote messages on social media to say goodbye, while developers all across the video game industry tried to help by posting job listings on Twitter and Facebook. Although the bulk of laid-off employees were support staff, some were in departments like art and design as well. Over the past week I’ve talked to around 20 people who were laid off or close to those being laid off, as well as others with knowledge as to what’s happening at Activision Blizzard. If there’s a consensus, it’s rage. Rage at Kotick’s comments, at the way Activision executives seemingly view their employees as numbers on a spreadsheet, at the callousness in which this layoff was handled. There’s rage at who was chosen to be laid off – two people told me that it felt like a random, haphazard practice – and rage that some important employees were let go. Some who had been laid off told me they had felt safe, expecting their studios or departments to not be affected. Even those who felt layoffs were necessary or justifiable said they were shocked by the scale, scope, and coldness from executives. At Blizzard, for example, rumours of big layoffs had been circulating as early as November. Back then, as I began to learn about the sweeping changes that had come to the legendary game studio in 2018, I heard from a former high-level employee that layoffs were coming in February. I heard the same from a source plugged into the investor community. Another Blizzard employee told me today that the layoffs had been an “open secret” for months. Blizzard, founded in 1991, has developed critically and commercially successful games from Warcraft and StarCraft to Diablo and Overwatch. It has kept its game quality high even after Activision merged with the studio in 2008. It just hasn’t produced many new games of late, increasing tensions with management in Santa Monica. Since the beginning of 2018, as Kotaku has reported previously, the mandate at Blizzard had been to cut costs and produce more games. To those who worked outside of Blizzard’s development teams, in departments like publishing, esports, QA, and IT, it felt last year like the axe was about to fall. After all, if Blizzard was looking to develop more games without spending more money, they’d need to lose headcount in non-game-development departments. But management said nothing. With no union or other method for collectively communicating with executives, employees were left with nothing but whispers. As November turned into December and the new year came, all they could do was wait. I heard other stories, too. Some people supposedly learned their fate early, signing non-disclosure agreements last week in exchange for severance packages. Others took buyouts thanks to the Career Crossroads program that allowed QA, customer service, and IT employees to voluntarily leave, as we reported in December. Some were given hints from their managers – warnings to polish their CVs before Tuesday. 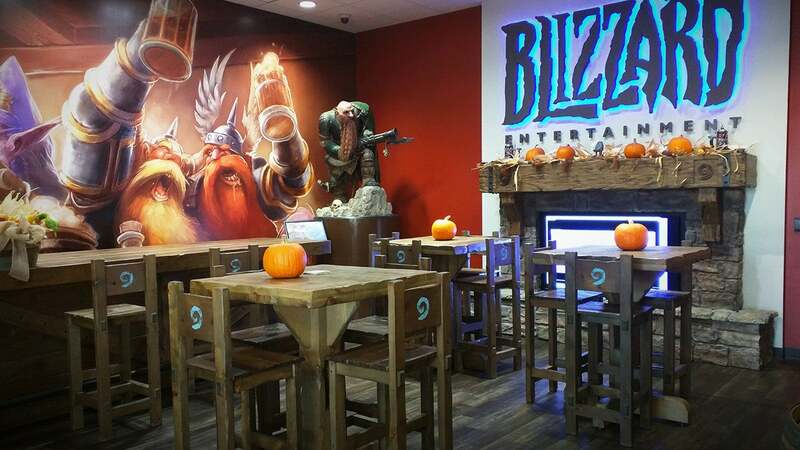 One Blizzard employee told me they’d see the job networking website Linkedin open on computer screens as they walked around the office over the past week. Some outside of Blizzard, at Activision’s various development studios, thought they were safe but on Tuesday and Wednesday reached out to let me know that they or their colleagues had been unexpectedly laid off. Last night, the picture at Blizzard became clearer. Support teams had been gutted. The layoffs were largest in non-development departments like IT and QA, according to those who were there. The esports department was hit hard, as many within Blizzard had expected – after all, it had been led by Amy Morhaime, wife of Mike, the long-time Blizzard CEO who left the company last autumn. She departed around the same time. The two Morhaimes were seen as big advocates for esports within Blizzard, even when it wasn’t quite as lucrative as Activision’s executives might have hoped, and with them gone, the department was in danger. Blizzard’s publishing department, which is comprised of PR, marketing, community, and other game support divisions, was also hit hard. Around late 2015 or early 2016, Blizzard had split North American and global publishing into two departments, according to long-time employees. It was seen as a bad move by those who worked there, one that caused resentment, redundancy, and unnecessary bureaucracy. As part of this week’s layoffs, Blizzard reconsolidated those divisions, laying off dozens in the process. Executives like chief operating officer Armin Zerza and marketing boss Todd Harvey, both of whom are heavily connected to Activision, are running the show. For decades, Activision’s philosophy has revolved around annualised releases, most notably with the gargantuan Call of Duty series, which hasn’t skipped a year since 2004. That sort of schedule is diametrically opposed to Blizzard’s “release it when it’s ready” philosophy, which has led to massively successful games like Overwatch and Hearthstone but has also led to periods like the present, in which Blizzard has gone three years without releasing a major game. The tension between annualised releases and “games as a service” that don’t have to have new, boxed releases and sequels is one of the main reasons that the Activision and Bungie relationship never worked out. Last month, the two companies split, with Bungie buying the full rights to sell and publish Destiny on its own. This year will likely be a slow one for Blizzard, as the company implements its new strategy across franchises like Diablo, Warcraft, and Overwatch (all of which have new games in development, many for smartphones). Then, we’ll likely see more new Blizzard games come out more regularly than ever before. And we’ll have to wait and see if they live up to the quality bar Blizzard has set for itself over the past three decades.